The Irish Wheelchair Association Nationals took place over the weekend as several Irish Para Athletes and Paralympic hopefuls competed in the national competitions. Niamh McCarthy and Noelle Lenihan were amongst the standout performers throughout the weekend. Niamh had an excellent throw of 32.13m with Noelle also showing great form with a throw of 31.3m. Mary Fitzgerald will also be very pleased with her performance. The 100m came down to a nail biting finish as it took a photo to separate the Alex Lee and Cathal Ryan as they crossed the line nearly simultaneously. Patrick Monahan also competed and he will do so again today as he starts in the 800m at the Cork City Sports International. 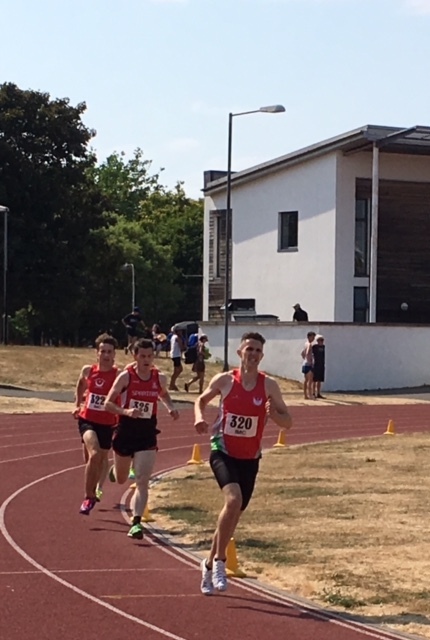 The IMC in Irishtown also saw plenty of action with David Leavy running a 4:30 in the 1500m and Greta Streimikyte recording a 4:44 over the same distance. Both David and Greta will compete at the European Championships that take place in Berlin from August 20-26th.